Something special has happened to miLienzo.com recently. Its voice has dropped, its shoulders have broadened and it’s started to develop a bit of stubble under the chin. It’s even started showing a keen interest in lady blogs! 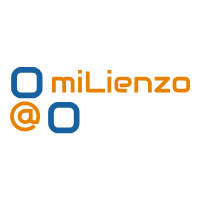 That’s right, miLienzo.com has come of age. 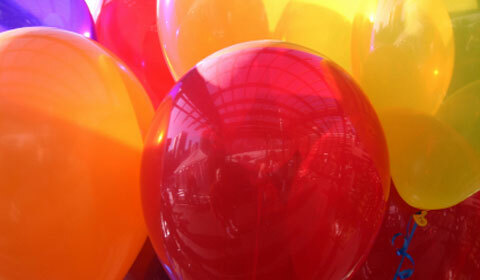 We are officially 100 posts old, which in blogging terms is something of a milestone. In fact, the big 100 passed the other week whilst I was away in Italy. My post on DJ Sara and DJ Ryusei was my centurion post, and rather aptly it had a bit of a party whilst I was away! In one day this article generated 1000 per cent more traffic than any other day in this blog’s history. I’ve got johno from I Love Typography to thank for that, for Stumbling and Digging me. Cheers johno! Matt Ellsworth – Thanks for being the first person to ever leave a comment on this site. I don’t see you round here much any more, but you have a special place in miLienzo.com scriptures all the same. Marc Rapp – Thanks for being the first person to join my MyBlogLog community. You’ve no idea how lonely it felt before you joined me – you made me feel all warm and fuzzy inside. Lorelle – Everyone knows about Lorelle. Another commenter from the early days, I’ve learnt a hell of a lot from Lorelle about WordPress and blogging. Cheers! David Airey – Ahhh, Mr Airey, cheers mate! Cheers for being a very regular reader and commenter here, cheers for writing your own excellent blog which has given me lots of inspiration over the months, and cheers for awarding me one of your Creative Design Awards. Gregory Moulinet – Cheers for some great comments and inspiring discussions about the creative industry and working in the city. Paul Enderson – I can always rely on Paul to leave the most sarcastic comment of the day, without fail. Thanks for putting a smile on my face. Tara – Like David, Tara is another design blogger who has had a lot of success and I look up to. So thanks for regularly finding the time to pop over here and leave a comment. Darren Rowse – Another inspirational blogger who I’ve learnt a lot from. But a special thanks for linking to my Technorati article. Scott Smith – A funny one is Scott. He’s either here leaving comments like a man possessed, or he’s nowhere to be seen for months on end. He’s currently the latter, but I know he’ll be back. See you soon Scott! Asgeir Hoem – Thanks for being a regular commenter and always having some nugget of knowledge to share. Justin Kistner – Many thanks for all your comments over the months and a special thanks for your guest article the other week. Stevie B – Thanks for breaking my meme-tagging cherry when you tagged me with the Productivity tips meme. Sera Strawbridge – Thanks for making my world a richer place with the Make the Logo Bigger song. Vivien – Thanks for continuing to write an excellent blog and, well, inspiring me. DT – Thanks for continuing to write a great and hugely inspiring design blog. Shantanu – Thanks for being a regular face and commenter recently. Lauren, Charity, Randa – Thanks girls, for all the comments over the months and keep up the good work on your own blogs. I’m sure I’ve missed loads, so apologies if I have. But I reserve one ultra-special thanks, for YOU, for reading this blog now. See you at 200!